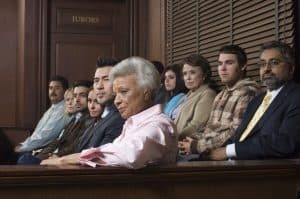 Why is Jury Selection Such an Important Part of the Trial Process? | Gainsberg Law P.C. Why is Jury Selection Such an Important Part of the Trial Process? The outcome of a legal case depends on many factors, including the facts, skills of the attorneys, witness testimony, and believability of individuals heard by the judge and/or jury. However, one of the most important aspects of a jury trial is carried out prior to the opening statements of the lawyers are ever made. Jury selection, and the part played by attorneys in this selection process, is one of the most important phases in preparation for a trial. An attorney risks the loss of the case if he or she allows the other side to dominate the jury selection process. At the start of a jury trial, a process referred to as voir dire is conducted. During this process, the attorneys of both sides are allowed to question potential jurors to determine which jurors will hear the case fairly. The defendant’s attorney will attempt to keep any individual who may register bias against the defendant’s position from sitting on the jury. Likewise, the plaintiff’s attorney will try to prevent any prospective juror from sitting on the final journey who has an unfavorable view of the plaintiff’s position. During the course of the voir dire process, attorneys from each side can challenge prospective jurors for cause or through a preemptory challenge. When exercising a challenge for cause, the attorney must demonstrate that the prospective juror either has a close relation to the case or carries a bias against his or her client that could compromise the trial. An obvious example would be if a juror is a family member of the judge, prosecutor, or defense attorney. The ideal outcome of jury selection is a fair and impartial jury. Both sides are involved in the selection process to help ensure this outcome – though of course, both sides prefer jury members who might be sympathetic to their clients’ plights. Attorneys may use a peremptory challenge to remove a juror from the process without providing any reason why the juror should be dismissed. Attorneys are given a restricted number of these challenges, so they must be used carefully during jury selection. Challenges are issued by attorneys to eliminate jurors on the basis of their supposed inclination to side against their clients. Factors used during these challenges may include occupation, socioeconomic status, criminal background, or familiarity with the legal system, among other factors. An attorney may select jurors on the basis of specific criteria. If the trial is a personal injury civil case that involves the potential awarding of civil damages, the attorney for the plaintiff may choose jurors who have a favorable attitude toward awarding large financial settlements involving both economic and noneconomic damages. The attorneys may ask jurors any questions during the selection process that are relevant to the case. Therefore asking the right questions can help an attorney identify and select jurors who are sympathetic and favorable to their side. 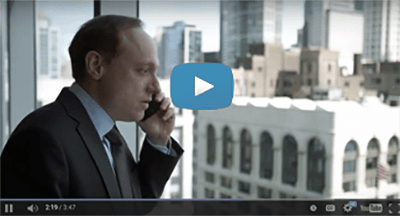 If you have suffered an injury due to the negligent actions of another party, you deserve an opportunity to recover compensation for your losses. At Gainsberg Law, our Chicago personal injury attorneys are here to fight for you. To schedule a free case evaluation, call our law office today at 312.313.1621 or send us a message through our contact form.